The existing air conditioning units were all pumped down and de-gassed and safely disposed of in compliance with the F- Gas regulations. 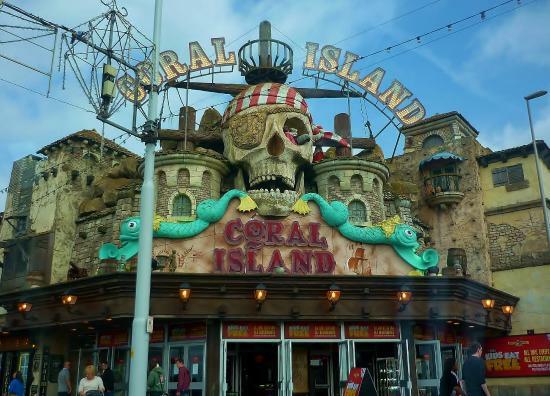 The interconnecting pipework and services were retained and we flushed the copper tube with a solution to remove any residual oil that may have been contaminated. 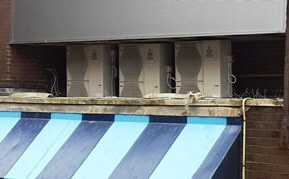 We then installed three Mitsubishi cassette type air conditioning units with the outdoor units having been treated with a specialist marine coating for added protection against the harsh North West environment that exists here at the coast in Blackpool. The indoor cassette fascia grills were spray painted black to match the ceiling tiles within the Bingo Area to ensure that they matched the façade that exists in the hall. 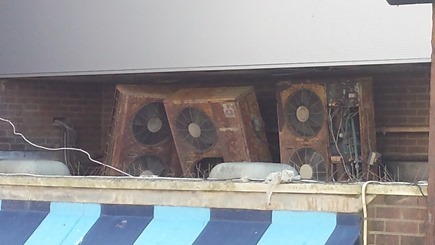 It was required that the engineers “Work at height” when installing the outdoor condensing units, once again, our engineers undertake a full health and safety inspection prior to commencing with work on any Air Conditioning installation.